An easy egg fried rice! If you need a fast, easy meal idea that your family will cheer for with wild abandon you need to learn how to make fried rice. And it IS an art. To be truthful, even mastering fried rice at home cannot replicate the stuff you get at your favorite restaurant. I could give you all sorts of information, ingredients, and such for why the restaurant stuff tastes so much better. But, I won’t. You can make your own guesses as to why. I WILL say that you can get very, very close to the restaurant stuff. 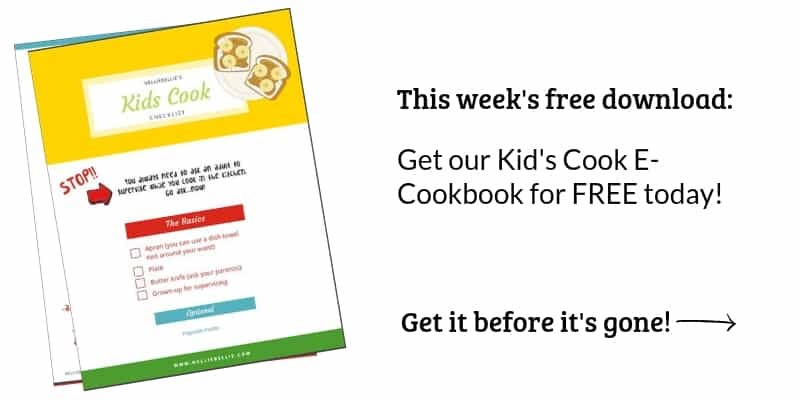 And the best part is you can do it quickly, easily, and using the best ingredients for your family. The unsung hero in homemade fried rice is LEFTOVER rice. Truly. Make a double batch the next time you make rice and save the extra rice for this busy weekday meal. It is absolutely better to use leftover than fresh, anyways. All that matters is that you can make your own version ALMOST as good as the real stuff anytime your heart desires. 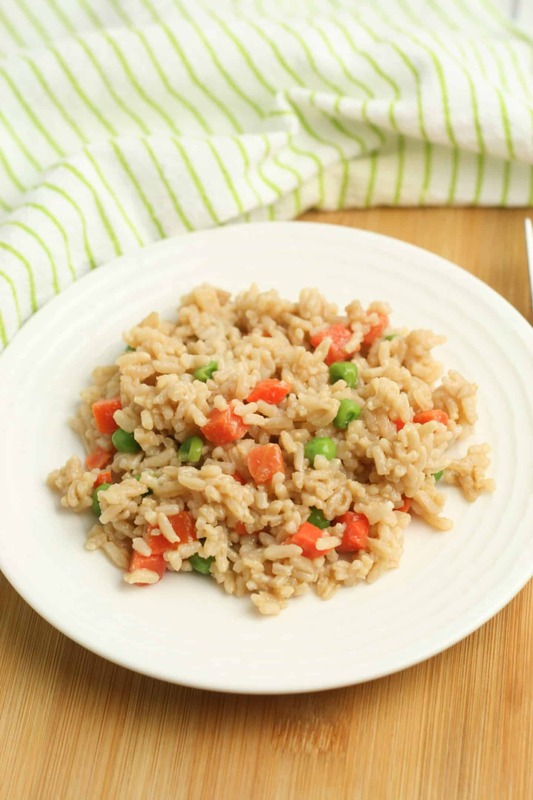 On a busy weeknight, fried rice is a great supper choice. Stuff as many veggies as your family will handle, use brown rice if you can get away with it, and be sure to choose low-sodium soy sauce to keep this dish as healthy as possible. Sadly, don’t skip on the butter. It really is the heart of all good fried rice. Always. Leftover rice is a great opportunity for a batch of fried rice. Otherwise, simply make up a batch of rice early in the day and pop it in the fridge. I often use minute rice…it works and is fast. 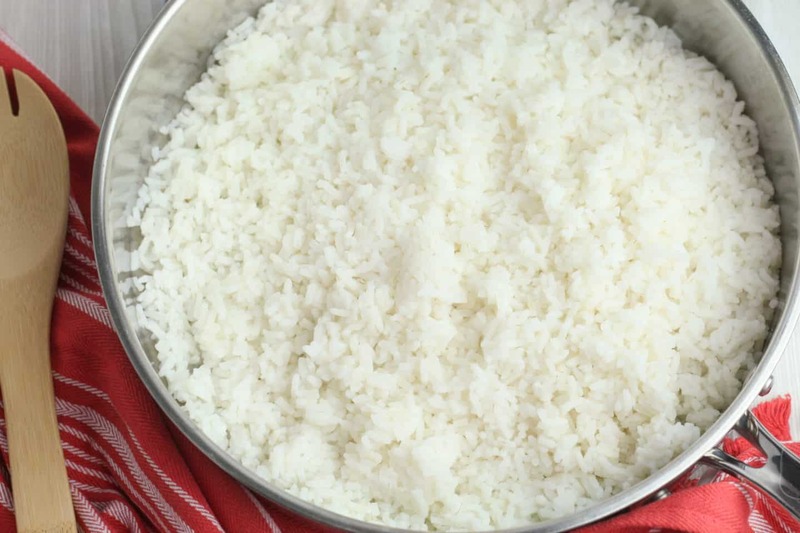 The shorter rices (like sushi rice) tend to get soft and stick together. I like to use jasmine rice because it’s longer and fries up nicely. Whatever you use…long is best. But hey, use what you have! Butter is the way to crispy, tasty fried rice. You can give oil an attempt (if you do, choose a nut oil for best results) but you will return to butter as the best. Vegan? Give your favorite oil a try. It won’t be as great as butter, but it will still be very, very good! We recommend using less oil than you think you’ll need and add only as needed, fried rice can be oily if you are not careful. Grab the biggest, most giant pan you own. If you crowd that rice it won’t brown and get lovely. Use a giant pan. Or two. That works as well. Science says that wet stuff doesn’t fry, it just heats, that’s why you want to watch that the extras you put in your rice don’t add lots of moisture. You’ll need to stir a few times, but resist the desire to stir often. Let the rice sit and brown properly. Giving your finished rice a splash of sesame or peanut oil IS worth it. It really does make a difference. 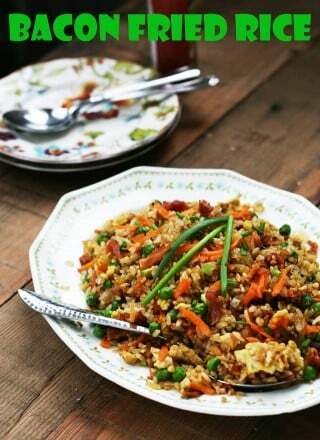 This Bacon Fried Rice from Cheap Recipe Blog is a great example of the endless options for fried rice! Make an extra breast or two the next time you make chicken, cut it up, and freeze it for such a time as fried rice. Vegan or Vegetarian? 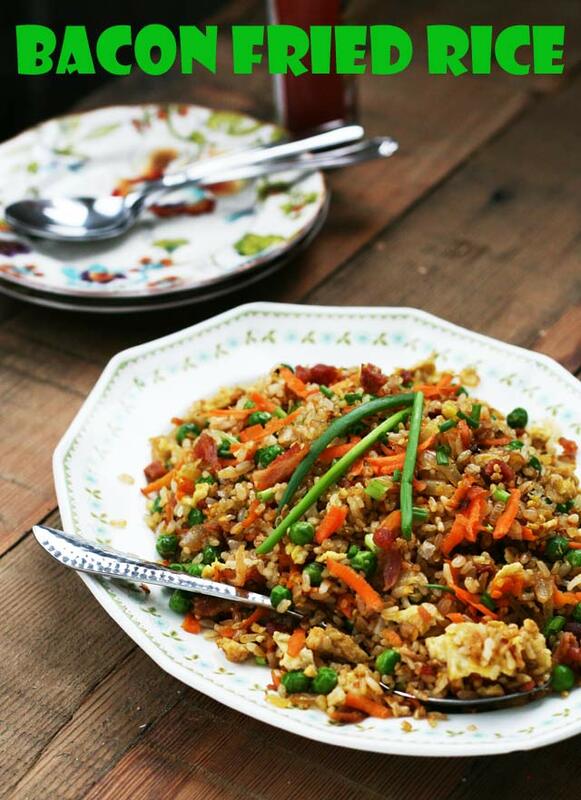 Try your favorite tofu in fried rice, you’ll love the way it takes on the flavor of the veggies and sauces around it! 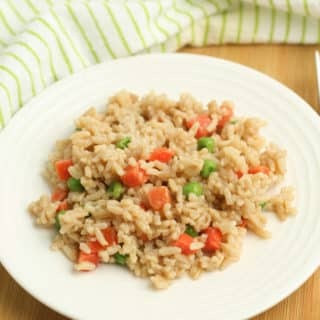 Fried rice is a great way to use frozen veggies, that extra stalk of celery, or the carrots that haven’t gotten eaten. Use them in fried rice! An egg scrambled up in the pan before adding the rice is a fantastic addition. Vegan? 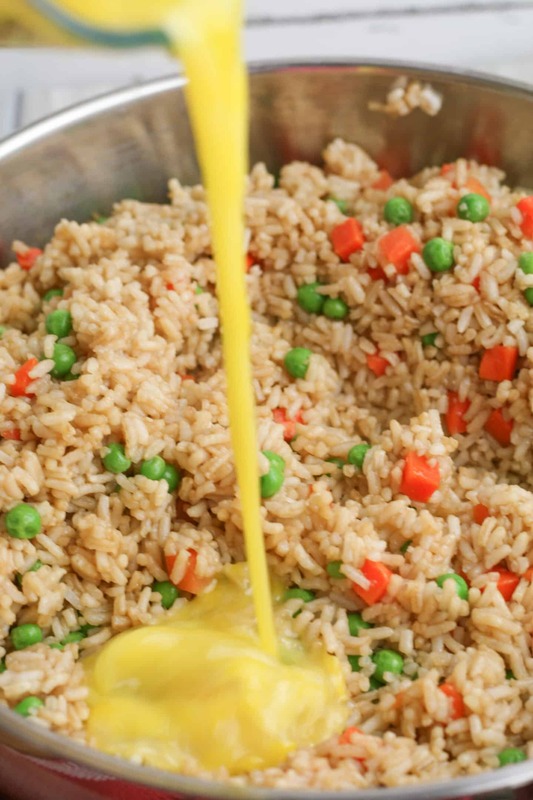 An egg substitute works great for fried rice! Before you start the fried rice fry up some pot stickers (I purchase mine, but they are fast and easy to make) and then place them in the oven to keep warm while you finish up the rice. Go ahead and purchase them if needed. Otherwise, coleslaw mix and egg roll wrappers are all you need to make a quick egg roll. Roll the coleslaw in the wrapper and fry for about 4 minutes in oil. Buy them or make your own with wanton wrappers, cream cheese, green onions, and crab. These are an easy treat to make before you start your rice and keep warm in the oven while you fry the rice. Chunked chicken breast and your favorite sweet and sour sauce are all you need to serve this up. Mix your chicken with sweet and sour sauce in a tablespoon or so of oil in a hot pan (med-high heat). Cook up until the chicken is cooked through. Top with green onions and sprinkle a bit of sesame seeds on top. Save yourself trouble and go buy some egg rolls to serve with this. The end. Done. Egg drop soup is easy and inexpensive to make. Most kids love it! Drop a spoonful of cream cheese into a won-ton wrapper, seal it, and fry it up. Kids love wonton or egg roll wrappers fried in a bit of butter with cinnamon & sugar on top, an easy dessert. Serve alongside ice cream. Add chilled white rice and soy sauce, stir and combine. Add peas and carrots, stir to combine. Cook for 10 minutes, stirring often. Whisk the eggs and pour over rice mixture. Stir and saute until the eggs are cooked. And, where is the actual recipe? Mari, we actually didn’t intend for this article to include a specific recipe, as the idea is more to understand ways to change up and use fried rice. We think you’re right, though, that a very basic recipe might help people start out with some of those change-ups. We’ll be adding a recipe soon!